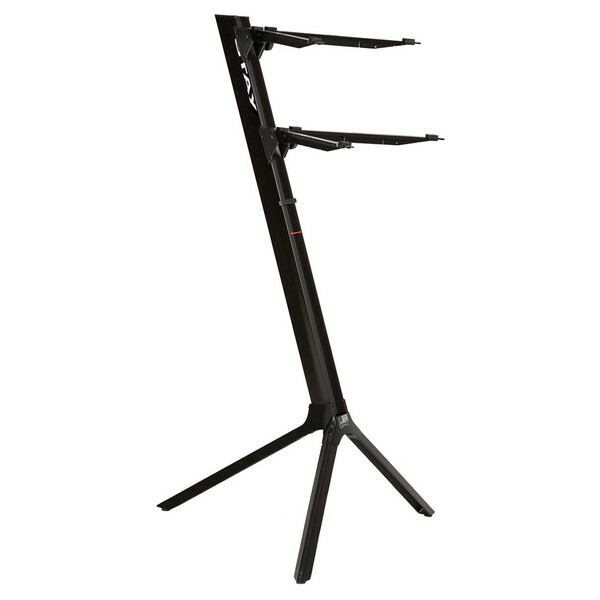 The STAY Keyboard Stand SLIM, Black is a 2-tier stand designed to accommodate keyboards and synthesizers, with support for keyed-instruments ranging up to 61 keys. The highly robust design features a sleek silver finish with four arms and a sturdy tripod base. The STAY Keyboard Stand Slim is constructed from heavy-duty aluminium for optimal durability and sturdiness. Finally, the Stay Keyboard Slim can also be used with a range of other equipment including synths, modules, some drum machines, controllers and more. The STAY Keyboard Stand Slim is the perfect solution for live keyboard playing studio storage. The two-tier design allows you to accommodate two different keyboards, ideal as the main centre piece in a studio setting. 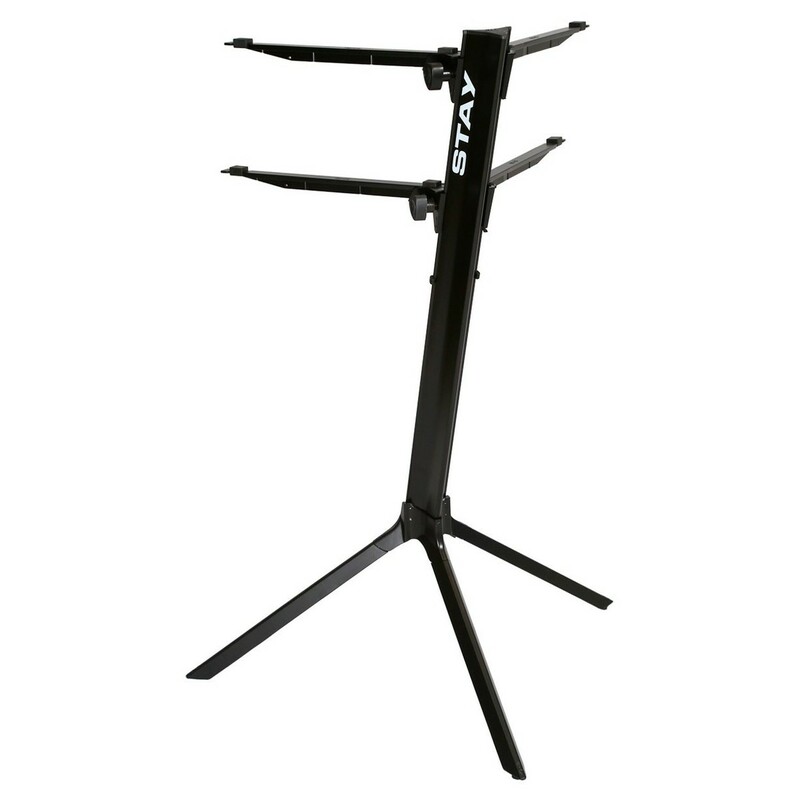 The stand features two tiers with four arms in total, which can be adjusted to ensure maximum stability, dependent on the size of your keyboard/synth. The robust design is constructed from highly durable aluminium with a tripod base, ensuring maximum sturdiness and stability. The stand provides support for keyboards ranging up to 61 keys in size, but can also be used to accommodate synths, modules, controllers and more. .